I didn't have a ton of "other papers" to choose from, I used to have a couple books for ripping up, but I'm guessing they didn't make the cut last summer when we moved because I couldn't find them anywhere, so I used a coffee sleeve and a paper doily for my different papers. I stamped the jar and flowers with black memento ink on Neenah solar white cardstock and colored them with Copics (there are about 10 shades of pink on those flowers!) and fussy cut them out. I die cut the coffee sleeve with the Mix & Mat Pretty Brackets and then layered that, the doily, and the flower jar together. 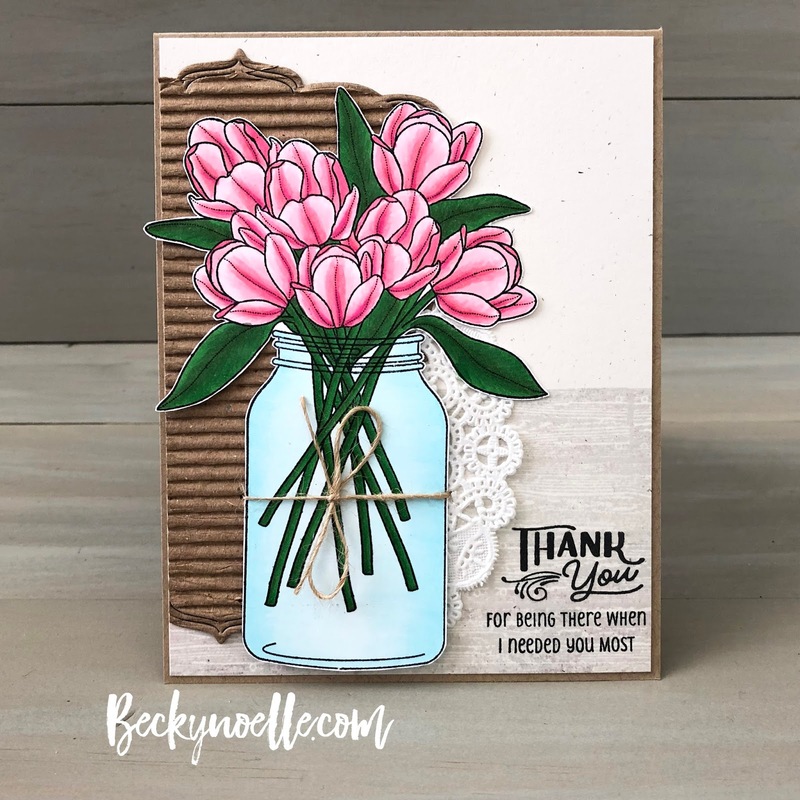 I stamped my background on Rustic Cream Cardstock and assembled everything. I finished it all off with some twine and a stamped sentiment before I adhered it to a Kraft Card base. WOW, this is gorgeous! Your coloring of those tulips and leaves makes them look so realistic. Your recyclables set the perfect backdrop for your jar of flowers. What a wonderful job coloring those flowers. I really like the corrugated shape too. neat texture.